General Material or Resources Covering Many Disasters. Cyclones (including hurricanes and typhoons). Storms: See either Floods or Tornadoes (Nothing specific on wind storms yet). Cold weather phenomena other than temperature, such as blizzards, freezing rain, and ice storms. Disease, although many studies exist. Wildfires (forest fires, bushfires), although several references are available. Oesterhelweg, L. and K. PÃ¼schel. 2008. "'Death may come on like a stroke of lightening...': Phenomenological and morphological aspects of fatalities caused by manure gas". International Journal of Legal Medicine, vol. 122, pp. 101-107. See also General Material or Resources Covering Many Disasters for material covering some of the above. "If a man drowns in flood waters, or is killed by a building collapse during an earthquake the cause of death is reasonably unambiguous, but when a dying villager in Bihar is found to have a severe case of cholera, to have suffered chronic malnutrition for years, and not to have eaten for two weeks since no food was available due to the drought and the inadequate distribution of relief supplies, are we to say that he will die of cholera, malnutrition, drought, or administrative inefficiency? Some such combination of 'causes' is true in all cases." From pages 8-9 in: Hewitt, K. and I. Burton. 1971. The Hazardousness of a Place: A Regional Ecology of Damaging Events. University of Toronto Press, Toronto, Ontario, Canada. Yet for the flood death, did administrative inefficiency lead to lack of warning and lack of rescue? Did the man stay behind to protect his possessions because insurance was not available to him? Had malnutrition weakened him, so he could not swim well? For the earthquake death, did administrative inefficiency lead to lack of monitoring and enforcement of building codes? Did bidding for building contracts force the construction company to cut their bid price and short-change the structure on materials? Was the dead man disabled without mobility-assisting devices and so was unable to "drop, cover, and hold" during the initial shaking? All disaster deaths are ambiguous. The causes and circumstances of deaths from disasters is an area in which much more work is needed. This webpage consolidates some of the material available on disaster deaths to provide a resource for researchers. Disaster mortality studies tend to focus on people who clearly died as a result of a specific hazard, due to the dominance of the hazard paradigm. Many deaths occur months or years after an event. The cause might be physical, for example someone in a coma, but is often mental, due to stress, lack of post-disaster support, or lack of resources (not just financial resources) to cope with the difficulties. Because establishing cause and effect in such cases is challenging, these deaths frequently remain unnoticed and become part of a disaster's hidden cost. Often, these deaths are described as "indirect", "secondary", or "peripheral". Such labels are inappropriate. Any death from a disaster is part of that toll even if it is difficult to include it in statistics. Therefore, any study of disaster deaths has the inherent weakness of being potentially incomplete without a method for proving completeness. Nonetheless, to develop appropriate policies and practice for reducing fatalities, it is important to understand who is dying in disasters and how and why they are dying. With that understanding, measures could be developed, tested, and implemented, rangeing from specific advice for individual behaviour to a national government's preparedness policy to learning which data should be collected and how that data should be analysed. The information provided on this website is not intended to be comprehensive, but is indicative of the work which has been done and the groups and people involved in researching disaster deaths. The listed publications reflect those which have been acquired--only a small number compared to those available. Hopefully, this page would nonetheless represent a helpful starting point. Definitions of terms are not considered here, except where necessary. Instead, studies which examine deaths or related issues--for instance, proposals for consistent data collection or research into detailed loss of life predictive models--for specific hazards, vulnerabilities, risks, or disasters are highlighted. A bias is maintained in favour of studies which look at individual-by-individual fatality data and which examine causes and circumstances of potential or actual individual deaths rather than simply compiling numbers, estimating death ratios, or predicting future mortality. Some references listed might be inconsistent with these principles here. They reflect useful, relevant publications which have been acquired. Further material, particularly sent electronically, would be welcome. Please contact Ilan Kelman. In this way, a "disaster deaths" research community can have more coherence with the aims of improving understanding of the issues, sharing data, and ultimately yielding solid and effective recommendations for preventing disaster deaths. Mental health (psychological) deaths and injuries. Deaths over the long-term (as discussed above). Impacts on society, including loss of social cohesion, livelihoods, and opportunities. Disaster deaths, however, provide a clear focus for examining one aspect of disasters' impacts on society. The insight and recommendations which emerge from these studies have implications for all the above topics. Blong, R.J. and D.A. Radford. 1993. "Deaths in Natural Hazards in the Solomon Islands". Disasters, vol. 17, no. 1, pp. 1-11. Combs, D.L., L.E. Quenemoen, R.G. Parrish, and J.H. Davis. 1999. "Assessing Disaster-attributed Mortality: Development and Application of a Definition and Classification Matrix." International Journal of Epidemiology, vol. 28, pp. 1124-1129. Fingerhut, L.A. 2004. "International Classification of External Causes of Injury". Injury Prevention, vol. 10, pp. 127. Floret, N., J.-F. Viel, F. Mauny, B. Hoen, and R. Piarroux. 2006. "Negligible Risk for Epidemics after Geophysical Disasters". Emerging Infectious Diseases, vol. 12, no. 4, pp. 543-548. Hutton, J. 1976. "The Differential Distribution of Death in Disaster: A Test of Theoretical Propositions". Mass Emergencies, vol. 1, no. 4, pp. 261-266. Kelman, I. and S.N. Jonkman. 2007. "Disaster Deaths Research Challenges". Presentation at the Hazards and Disasters Researchers Meeting, Boulder, Colorado, USA, 11-12 July 2007, full text (223 kb in PDF). Kuhnel, I. and L. Coates. 2000. "El NiÃ±o-Southern Oscillation: Related Probabilities of Fatalities from Natural Perils in Australia". Natural Hazards, vol. 22, pp. 117â€“138. Langley, J.D. and D.J. Chalmers. 1999. "Coding the circumstances of injury: ICD-10 a step forward or backwards?" Injury Prevention, vol. 5, pp. 247â€“253. Medical Emergencies and Mass Casualties (284 kb in Word) was compiled by David Alexander when he was at the Department of Geosciences, University of Massachusetts Amherst Campus. The references in this list which have not yet been acquired are not listed elsewhere on this webpage. Neumayer, E. and T. PlÃ¼mper. 2007. "The Gendered Nature of Natural Disasters: The Impact of Catastrophic Events on the Gender Gap in Life Expectancy, 1981â€“2002". Annals of the Association of American Geographers, vol. 97, no. 3, pp. 551-566. NWS (National Weather Service) provides useful statistics for severe weather deaths and injuries affecting the USA. Thacker, M.T.F., R. Lee, R.I. Sabogal, and A. Henderson. 2008. "Overview of deaths associated with natural events, United States, 1979â€“2004". Disasters, vol. 32, no. 2, pp. 303-315. Tun, K., B. Butcher, P. Sribonditmongkol, T. Brondolo, T. Caragine, C. Perera, and K. Kent. 2005. "Forensic aspects of disaster fatality management". Prehospital and Disaster Medicine, vol. 20, no. 6, pp. 455-458. Uscher-Pines, L. 2007. "'But for the Hurricane': Measuring Natural Disaster Mortality over the Long Term". Prehospital and Disaster Medicine, vol. 22, no. 2, pp. 149-151. Vlahov, D. and S. Galea. 2004. "Epidemiologic Research and Disasters", Annals of Epidemiology, vol. 14, pp. 532â€“534. Watson, J.T., M. Gayer, and M.A. Connolly. 2007. "Epidemics after Natural Disasters". Emerging Infectious Diseases, vol. 13, no. 1, pp. 1-5. 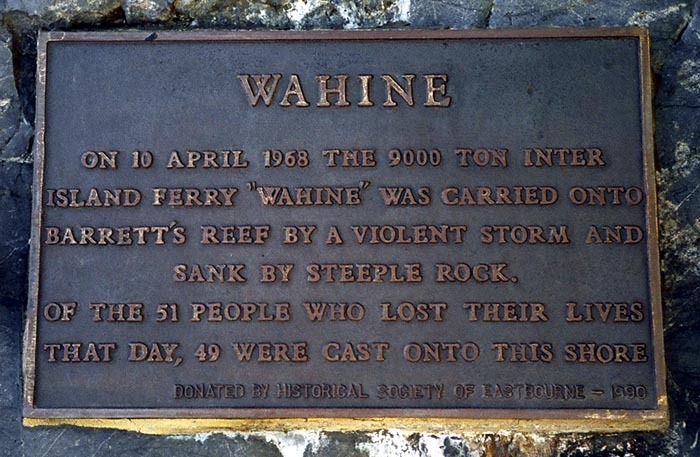 Plaque near Eastbourne, New Zealand commemorating the Wahine disaster. A hazard of wind, storm, waves, rocks, or poor human reaction? Causes and circumstances of deaths from astronomical phenomena are not well-studied, providing an interesting research area into deaths and potential deaths from NEO (Near-Earth Objects such as comets and asteroids) impacts along with geomagnetic storms and other forms of space weather. Numerous websites cite cases of meteorite-related casualties, but none could be verified--until 15 February 2013. In the morning local time, as caught by numerous videos and photos, a meteorite burned through the atmosphere over the Chelyabinsk region, Russia. The shockwave shattered glass in thousands of buildings, injured over 1,200 people, and collapsed a factory roof. It appears as if no large fragments fell in populated areas and that no one was hit by any meteorite fragments. The casualties, it seems, were all injuries with only a handful being serious. That means no fatalities, similar to other cases. The negative, though, is hard to prove: how could we be certain that no one has died? The best feasible statement might be that no death has yet been specifically attributed to astronomical phenomena in human history. NASA around 2000 stated on one of their websites that "It is a fact that there is no record in modern times of any person being killed by a meteorite". Papers give other potential examples, none of which are confirmed. Pickering (1919) quotes the Bible for one example of deaths and also suggests one story of a man killed by a meteorite in India in 1827. Yamamoto (1928) describes a report of a 3-year-old girl in Japan being hit by a meteorite and suffering minor injuries. Yau et al. (1994) list several examples throughout history where meteorites are alleged to have killed or injured people. With reference to the 30 June 1908 Tunguska explosion in Siberia, Cohen (2008) writes "Many Evenki, a tent-dwelling nomadic people indigenous to the area, told of animals, their homes and even fellow tribespeople being hurled into the air by a shock wave. An unfortunate few were incinerated". It is unclear what evidence exists to support that contention or if it is part of the local folklore. As well, an ongoing debate surrounds the date of the Kaali meteorite strike on Saaremaa, Estonia within the last several thousand years and the extent of human inhabitation at the time. If the island was inhabited during the strike, fatalities would have been likely, but almost impossible to prove or disprove. Download the current compilation of Kaali meteorite strike references (211 kb in Word). 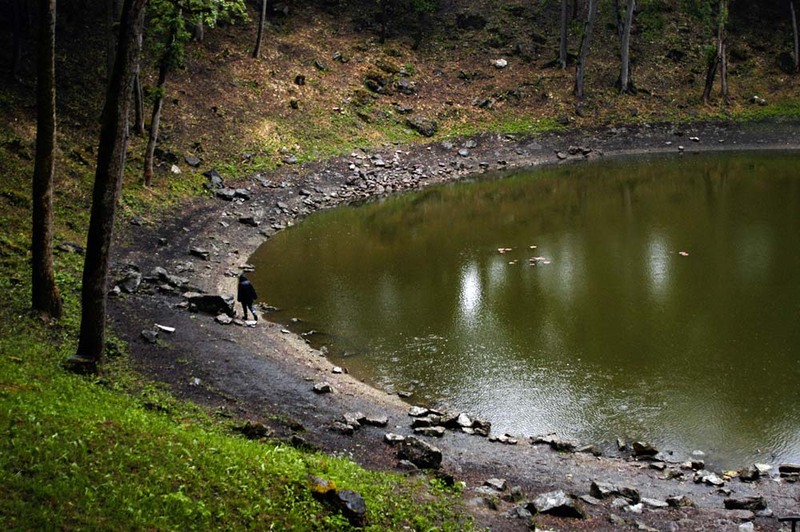 The Kaali meteorite crater on the island of Saaremaa, Estonia, created within the last several thousand years. Did the impact kill anyone? Chapman (2004; see also Chapman and Morrison, 1994) estimates the annual number of deaths internationally from NEO impacts as averaging between 300 and 3,000, based on the annual probability of different sized impacts, the time available to respond to specific threats, and the predicted consequences of events. These results are naturally dominated by low-probability high-consequence events meaning that year-to-year impact deaths are usually zero. Plenty of literature (e.g Kuypers et al., 1999 and Xie et al., 2005) exists on mass extinctions due to astronomical phenomena before human beings existed. The threat to Earth from NEOs has led to monitoring and warning programmes. Several search programmes exist in Europe, the USA, and Japan (Fulchignoni and Barucci, 2005; Thuillot et al., 2005). Plenty of international discussion has occurred regarding how to avert or prepare for a collision once a threat has been identified, but more operational planning and testing of countermeasures is needed (Carusi et al., 2005). Tsunamis could be caused by asteroid or comet impacts. Kharif and Pelinovsky (2005) report that the most recent known ocean impact occurred approximately 2.15 million years ago, although traces from more recent, smaller events might have vanished. It is possible that no human fatalities have yet resulted from a space-impact-related tsunami. An individual's characteristics leading to fatalities from astronomical phenomena can include belief systems. Many cultures have interpreted comets and bright meteors as portending calamity (Brown, 1973), likely leading to suicides. In 1997, one sect saw Comet Hale-Bopp's arrival as an opportunity to board a spaceship to the Promised Planet and 39 people committed suicide in a group (Mancinelli et al., 2002). As well, fatalities from heart attacks might have occurred due to meteorite strikes or sudden meteor flashes. Individual characteristics which increase or decrease the potential for astronomical hazard-related suicide or heart attack could be a research area. The physical mechanism of most space impact deaths would be crushing or physical trauma by the object if it lands, burning from an atmospheric explosion, trauma due to physical forces from the pressure wave or shock wave, or similar mechanisms to earthquakes (including tsunamis, if they occur) as the impact waves radiate outwards. An object could potentially skim the atmosphere without a direct impact, resulting in a regional superfire and/or pressure wave catastrophe along with the consequences of accompanying changes in atmospheric chemistry leading to acid rain and ozone layer destruction (e.g. Munich Re, 2001). Therefore, the principal space object hazard characteristics related to fatalities would be momentum (the product of mass and velocity), trajectory and lead time available before it strikes the Earth. Extraterrestrial radiation is an astronomical phenomenon related to cancer fatalities, particularly solar radiation exposure exacerbated by the ozone hole as a factor in skin cancer rates (e.g. Green et al., 1999; Oikarinen and Raitio, 2000). These studies also discuss an individual's characteristics which could increase their vulnerability to skin cancer. Other radiation phenomena such as giant flares from other stars--for instance, the 27 December 2004 event reported by Palmer et al. (2005)--lead to the scientists commenting in the media that similar events within several light years of Earth could cause a mass extinction. Significant scope exists for further research into the causes and circumstances of fatalities from the environmental hazard of astronomical phenomena. Brown, P.L. 1973. Comets, Meteorites and Men. Robert Hale and Co., London, U.K.
Carusi, A., E. Perozzi, and H. Scholl. 2005. "The Near Earth Objects: possible impactors of the Earth. Mitigation strategy". Comptes Rendus Physique, vol. 6, no. 3, pp. 367-374. Chapman, C.R. 2004. "The hazard of near-Earth asteroid impacts on earth". Earth and Planetary Science Letters, vol. 222, issue 1, pp. 1-15. Chapman, C.R. and D. Morrison. 1994. "Impacts on the Earth by asteroids and comets: assessing the hazard". Nature, vol. 367, pp. 33-40. Fulchignoni, M. and M.A. Barucci. 2005. "The Near Earth Objects: possible impactors of the Earth. NEO Impact Consequences and Hazards". Comptes Rendus Physique, vol. 6, no. 3, pp. 283-289. Green A, D. Whiteman, C. Frost, and D. Battistutta. 1999. "Sun Exposure, Skin Cancers and Related Skin Conditions". Journal of Epidemiology, vol. 9(no. 6 Supplement), pp. S7-S13. Kharif, C. and E. Pelinovsky. 2005. "The Near Earth Objects: possible impactors of the Earth. Asteroid impact tsunamis". Comptes Rendus Physique, vol. 6, no. 3, pp. 361-366. Kuypers, M.M.M., R.D. Pancost, and J.S. Sinninghe Damste. 1999. "A large and abrupt fall in atmospheric CO2 concentration during Cretaceous times". Nature, vol. 399, pp. 342-345. Mancinelli, I., A. Comparelli, P. Girardi, and R. Tatarelli. 2002. "Mass Suicide: Historical and Psychodynamic Considerations". Suicide and Life-Threatening Behavior, vol. 32, no. 1, pp. 91-100. Munich Re. 2001. Topics â€“ Annual review: Natural catastrophes 2001. Munich Re Group, Munich, Germany. Oikarinen, A. and A. Raitio. 2000. "Melanoma and other skin cancers in circumpolar areas". International Journal of Circumpolar Health, vol. 59, no. 1, pp. 52-6. Palmer, D.M., S. Barthelmy, N. Gehrels, R.M. Kippen, T. Cayton, C. Kouveliotou, D. Eichler, R.A.M.J. Wijers, P.M. Woods, J. Granot, Y.E. Lyubarsky, E. Ramirez-Ruiz, L. Barbier, M. Chester, J. Cummings, E.E. Fenimore, M.H. Finger, B.M. Gaensler, D. Hullinger, H. Krimm, C.B. Markwardt, J.A. Nousek, A. Parsons, S. Patel, T. Sakamoto, G. Sato, M. Suzuki, and J. Tueller. 2005. "A giant gamma-ray flare from the magnetar SGR 1806-20". Nature, vol. 434, pp. 1107-1109. Pickering, W.H. 1919. "Meteorites and Meteors". Popular Astronomy, vol. 27, no. 4, pp. 203-209. Thuillot, W., J. Vaubaillon, H. Scholl, F. Colas, P. Rocher, M. Birlan, and J.-E. Arlot. 2005. "The Near Earth Objects: possible impactors of the Earth. Relevance of the NEO dedicated observing programs". Comptes Rendus Physique, vol. 6, no. 3, pp. 327-335. Xie, S., R.D. Pancost, H. Yin, H. Wang, and R.P. Evershed. 2005. "Two episodes of microbial change coupled with Permo/Triassic faunal mass extinction." Nature, vol. 434, 494-497. Yamamoto, I. 1928. "Probability of Injury by a Meteorite". Popular Astronomy, vol. 36, no. 3, pp. 207-208. Yau, K., P. Weissman, and D. Yeomans. 1994. "Meteorite falls in China and some related human casualty events". Meteoritics, vol. 29, no. 6, pp. 864â€“871. 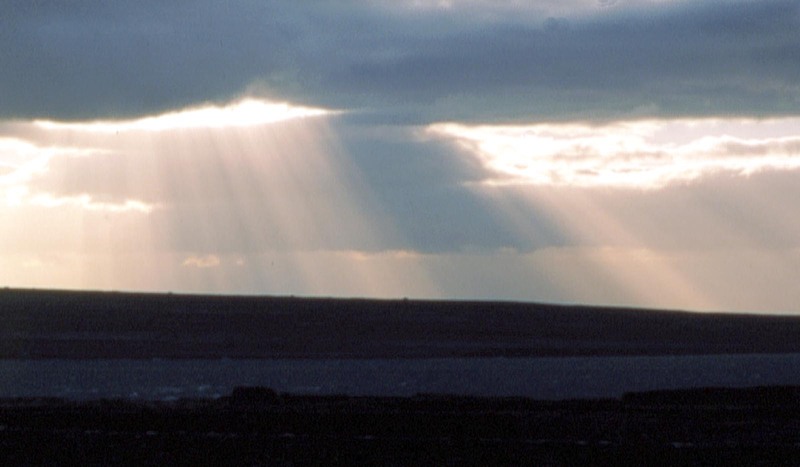 Are the sun's rays an astronomical environmental hazard? Sunset on Inis Oirr, Aran Islands, Ireland. avalanche.org lists avalanche fatality statistics for the U.S.A.
Ganju, A., N.K. Thakur, and V. Rana. 2002. "Characteristics Of Avalanche Accidents In Western Himalayan Region, India". International Snow Science Workshop, Penticton, Canada, 29 September 2002 to 4 October 2002. GrÃ­msdÃ³ttir, H. and D. McClung. 2006. "Avalanche Risk During Backcountry Skiing â€“ An Analysis of Risk Factors". Natural Hazards, vol. 39, pp. 127-153. GÃ¼rer, I., H. TunÃ§el, Ã–. Murat Yavas, T. Erenbilge, and A. Sayin. 1995. "Snow Avalanche Incidents in North-Western Anatolia, Turkey during December 1992". Natural Hazards, vol. 11, pp. 1-16. Johnson, S.M., A.C. Johnson, and R.G. Barton. 2001. "Avalanche trauma and closed head injury: adding insult to injury". Wilderness and Environmental Medicine, vol. 12, pp. 244-247. Page, C.E., D. Atkins, L.W. Shockley, and M. Yaron. 1999. "Avalanche deaths in the United States: a 45-year analysis". Wilderness and Environmental Medicine, vol. 10, pp. 146-151. Podolskiy, E.A., K. Nishimura, K. Izumi, and O.M. Yavas. 2009. "Avalanches in Turkey". Summaries of JSSI & JSSE Joint Conference on Snow and Ice Research â€“ 2009/Sapporo, P2-07, p. 102, Sapporo, Japan, 9 September 2009 to 3 October 2009, full text (511 kb in PDF). Podolskiy, E.A., A. Sato, and J. Komori. 2009. "Avalanche Issue in Western Himalaya, India". SEPPYO - Journal of the Japanese Society of Snow and Ice, vol. 71, no. 6, pp. 498-502, full text (562 kb in PDF). Radwin, M.I. and C.K. Grissom. 2002. "Technological Advances in Avalanche Survival". Wilderness and Environmental Medicine, vol. 13, pp. 143-152. Van Tilburg, C. 2003. "Preventing Avalanche and Deep Snow Submersion Deaths Using an Artificial Air Pocket Device and a Digital Dual-Antenna Avalanche Transceiver". Wilderness and Environmental Medicine, vol. 14, pp. 69-71. 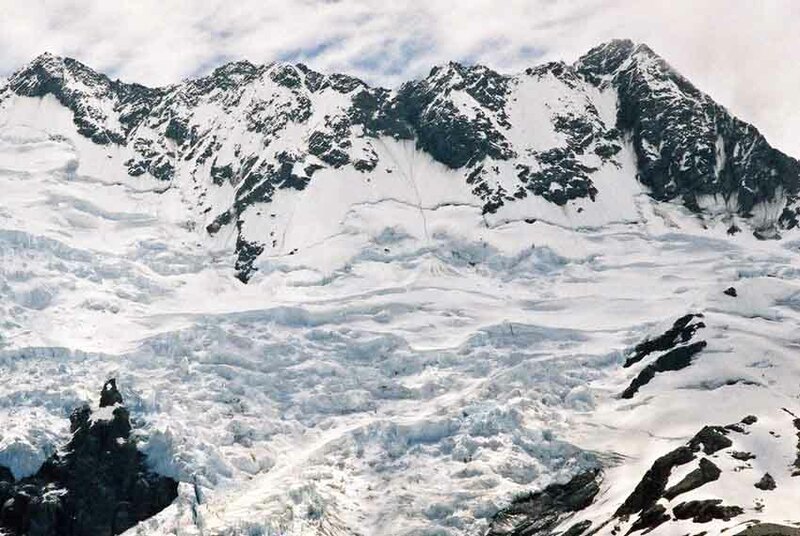 Avalanches in the Southern Alps. Earthquake deaths are perhaps the best researched of all the disasters listed here. The literature is vast--some examples are listed below--so it is more reasonable to defer to the people who already know the topic well and who have already obtained much of the relevant literature. These people include (in alphabetical order by surname) but are not limited to David Alexander, Linda Bourque, Andrew Coburn, David Dowrick, Rocky Lopes, Tracy Monk, Eric Noji, Marla Petal, Kim Shoaf, Robin Spence, and Peter Wood. Apologies to anyone left off this list. One caution with respect to earthquakes is that, if you ever come across Doug Copp (also Douglas Copp), American Rescue Team International, or the Triangle of Life, please refer to http://www.snopes.com/crime/warnings/triangle.asp especially http://www.riskred.org/activities/copp.pdf. The lesson, with respect to any disaster advice, is to do proper information searches and comparisons before believing self-appointed experts. Aleskerov, F., A. Iseri Say, A. Toker, H. Levent Akin, and G. Altay. 2005. "A cluster-based decision support system for estimating earthquake damage and casualties". Disasters, vol. 29, no. 3, pp. 255-276. Alexander, D. 2000. "On the Spatial Pattern of Casualties in Earthquakes." Annals of Epidemiology, vol. 10, issue 1 (January), pp. 1-4. Aoki, N., A. Nishimura, E.A. Pretto, K. Sugimoto, J.R. Beck, T. Fukui. 2004. "Survival and Cost Analysis of Fatalities of the Kobe Earthquake in Japan". Prehospital Emergency Care, vol. 8, no. 2 (April/June), 217-222. Capasso, L. and L. Capasso. 1999. "Mortality in Herculaneum before volcanic eruption in 79 AD". The Lancet, vol. 354, 20 November, p. 1826. Chan, C.-C., Y.-P. Lin, H.-H. Chen, T.-Y. Chang, T.-J. Cheng, and L.-S. Chen. 2003. "A Population-based Study on the Immediate and Prolonged Effects of the 1999 Taiwan Earthquake on Mortality". Annals of Epidemiology, vol. 13, issue 7 (August), pp. 502-508. Chou, Y.-J., N. Huang, C.-H. Lee, S.-L. Tsa, L.-S. Chen, and H.-J. Chang. 2004. "Who Is at Risk of Death in an Earthquake?". American Journal of Epidemiology, vol. 160, no. 7, pp. 688-695. Coburn, A.W., H. Ohashi Murakami, and Y. Ohta. 1987 (December). Factors Affecting Fatalities and Injury in Earthquakes, Internal Report. Department of Architectural Engineering, Faculty of Engineering, Hokkaido University, Sapporo, Japan. Coburn, A.W., R.J.S. Spence, and A. Pomonis. 1992. "Factors determining human casualty levels in earthquakes: mortality prediction in building collapse", pp. 5989â€“5994 in Proceedings of the 10th World Conference on Earthquake Engineering, Madrid, July 1992, A.A. Balkema, Rotterdam. Dowrick, D. and D.A. Rhoades. 2003. "Risk of casualties in New Zealand Earthquakes". In Proceedings of the 2003 Pacific Conference on Earthquake Engineering, 13-15 February 2003, Christchurch, New Zealand. 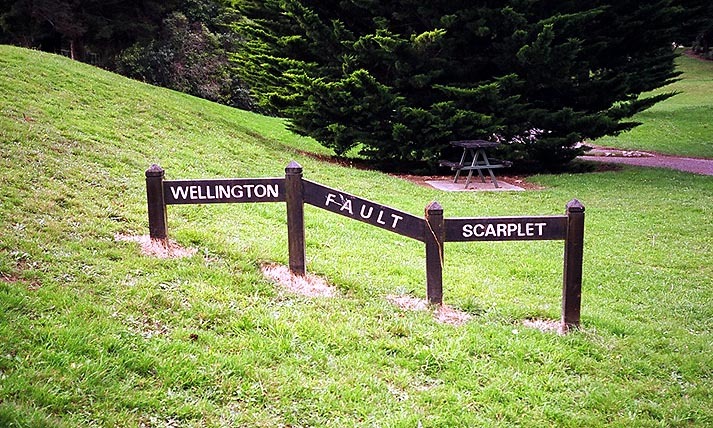 New Zealand Society for Earthquake Engineering, Wellington, New Zealand. Glass, R.I., J.J. Urrutia, S. Sibony, H. Smith, B. Garcia, and L. Rizzo. 1977. "Earthquake Injuries Related to Housing in a Guatemalan Village". Science, vol. 197, no. 4304, pp. 638-643.
International Workshop on Earthquake Injury Epidemiology for Mitigation and Response. 1989 (10-12 July). Technical Resources, Inc., Baltimore, USA. Kario, K. 1998. "Does earthquake-induced cardiovascular disease persist or is it suppressed after the major quake?" Comment on Kloner et al. (1997) and reply from Kloner and Leor. Journal of the American College of Cardiology, vol. 32, no. 2 (August), pp. 553-554. See also Kario (1998). Kloner, R.A., J. Leor, W.K. Poole, and R. Perritt. 1997. "Population-based analysis of the effect of the Northridge Earthquake on cardiac death in Los Angeles County, California". Journal of the American College of Cardiology, vol. 30, no. 5 (1 November), pp. 1174-1180. See also Kario (1998). Liao, Y.-H., S.-F. Lin, W.-H. Liao, J.-H. Huang, M. Shen, C.-H. Lin, and C.-H. Huang. 2005. "Deaths related to housing in 1999 Chi-Chi, Taiwan, Earthquake". Safety Science, vol. 43, pp. 29-37. Macintyre, A.G., J.A. Barbera, and E.R. Smith. 2006. "Surviving Collapsed Structure Entrapment after Earthquakes: A 'Time-to-Rescue' Analysis". Prehospital and Disaster Medicine, vol. 21, no. 1., pp. 4-19 (includes an "Editorial Comment" by Steven Rottman and an "Author Reply". Naghi, T.M., K. Kambiz, J.M. Shahriar, T. Afshin, S.K. Reza, P. Behnam, and A.H. Bahador. 2005. "Musculoskeletal injuries associated with earthquake: A report of injuries of Iranâ€™s December 26, 2003 Bam earthquake casualties managed in tertiary referral centers" [sic], Injury, International Journal of the Care of the Injured, vol. 36, pp. 27-32. Nakamori, Y., H. Tanaka, J. Oda, Y. Kuwagata, T. Matsuoka, and T. Yoshioka. 1997. "Burn Injuries in the 1995 Hanshin-Awaji Earthquake". Burns, vol. 23, no. 4, pp. 319-322. Osaki, Y. and M. Minowa. 2001. "Factors Associated with Earthquake Deaths in the Great Hanshin-Awaji Earthquake, 1995". American Journal of Epidemiology, vol. 153, no. 2, pp. 153-156. Pai, C.-H., Y.M. Tien, and T.L. Teng. 2007. "A study of the human-fatality rate in near-fault regions using the Victim Attribute Database". Natural Hazards, vol. 42, pp. 19-35. Peek-Asa, C., M.R. Ramirez, K. Shoaf, H. Seligson, and J.F. Kraus. 2000. "GIS Mapping of Earthquake-related Deaths and Hospital Admissions from the 1994 Northridge, California, Earthquake." Annals of Epidemiology, vol. 10, issue 1 (January), pp. 5-13. Peek-Asa, C., M. Ramirez, H. Seligson, and K. Shoaf. 2003. "Seismic, Structural, and Individual Factors Associated with Earthquake-Related Injury". Injury Prevention, vol. 9, no. 1, pp. 62â€“66. Petal, M.A. 2004. Urban Disaster Mitigation and Preparedness: The 1999 Kocaeli Earthquake. Ph.D. Dissertation, Department of Urban Planning, University of California, Los Angeles. Pollander, G.S. and D.A. Rund. 1989. "Analysis of Medical Needs in Disasters Caused by Earthquake: The Need for a Uniform Injury Reporting Scheme". Disasters, vol. 13, no. 4, pp. 365-369. Ramirez, M., M. Kano, L.B. Bourque, and K.I. Shoaf. 2005. "Child and Household Factors Associated With Fatal and Non-Fatal Pediatric Injury During the 1999 Kocaeli Earthquake". International Journal of Mass Emergencies and Disasters, vol. 23, no. 2, pp. 129-147. Ramirez, M. and C. Peek-Asa. 2005. "Epidemiology of Traumatic Injuries from Earthquakes". Epidemiologic Reviews, vol. 27, pp. 47-55. Sapir, D.G. 1993. 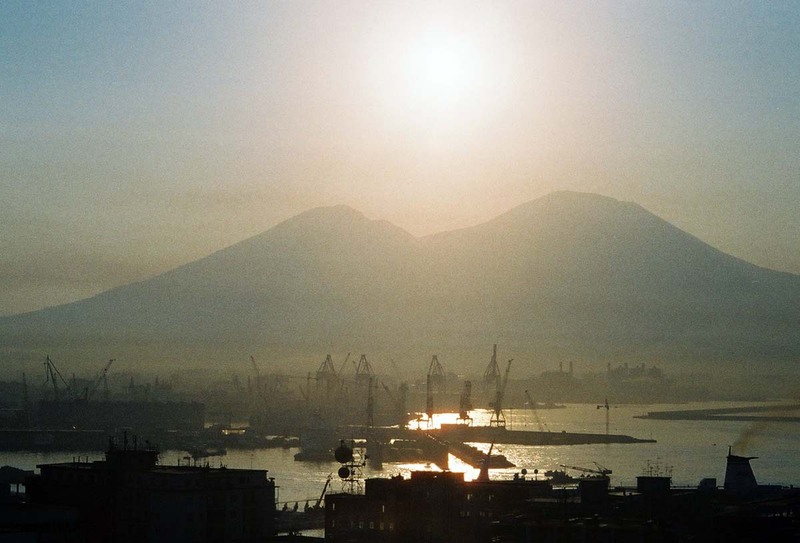 "Health Effects of Earthquakes and Volcanoes: Epidemiological and Policy Issues". Disasters, vol. 17, no. 3, pp. 255-262. Seligon, H.A. and K.I. Shoaf. 2003. "Human Impacts of Earthquakes". In W.-F. Chen and C. Scawthorn (eds. ), Earthquake Engineering Handbook, CRC Press, Boca Raton, Florida. Spence, R.J.S. 2007. "Saving lives in earthquakes: successes and failures in seismic protection since 1960. Bulletin of Earthquake Engineering, vol. 5, pp. 139-251. Spence, R.J.S., A. Pomonis, D.J. Dowrick, and W.J. Cousins. 1998. "Estimating human casualties in earthquakes: The case of Wellington", pp. 277-286 in E. Booth (ed. ), Seismic Design Practice into the Next Century, Balkema, Rotterdam. 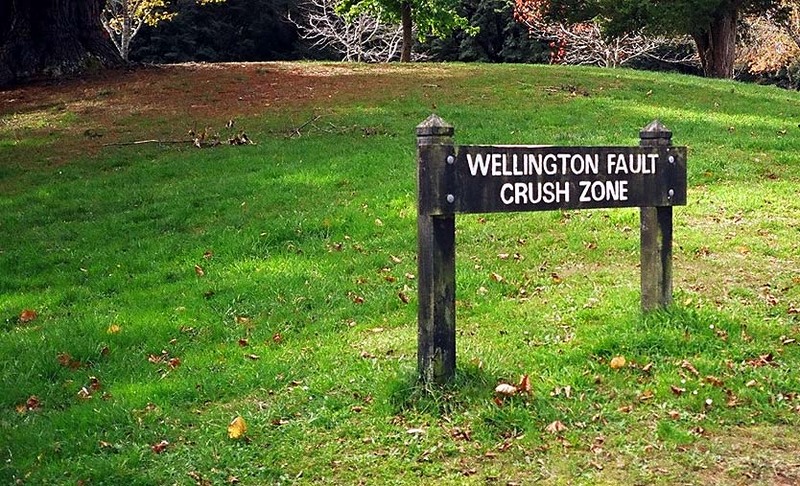 Tourist attractions in New Zealand. Download the list of flood mortality and drowning references (124 kb in PDF). Flash flooding, which does not necessarily happen in a floodplain. GLOFs, glacial lake outburst floods, with some parallels to jÃ¶kulhlaups. JÃ¶kulhlaups, often classified as a volcano disaster. Storm surge, one form of sea flooding. Tsunamis, another form of sea flooding, often classified as being an earthquake, landslide, or volcano disaster but also linked to seiching. As with seiching, tsunamis can happen in fresh water. Many wind-related storms bring heavy flooding and deaths might be from wind, from water, or from a combination. Meanwhile, avalanches are simply solid water yet are rarely classified with floods or storms. Thus, analysing flood fatalities is fraught with difficulties. Mixing alcohol and water (famous last words: "Hold my beer and watch this!"). The understanding of flood fatalities must be placed in the overall context of the health effects of floods (lethal and non-lethal effects), drownings (flood-related or otherwise), and water safety. 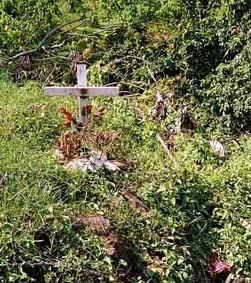 Roadside cross memorial for a victim of this low-water crossing on Upolu, Samoa. The story is that, after heavy rainfall producing flash flooding, the river was overflowing this crossing, a van tried to cross it, and the vehicle was swept away. Several people in the van escaped, but one died. Gerritsen, H., S.N. Jonkman, I. Kelman, C. Martens, and P. Waarts. 2003. 1953 Storm Surge Deaths: Belgium. Version 3, 27 July 2003 (Version 1 was 31 March 2003), full text (33 kb in Word format). Jonkman, S.N. 2005. "Global perspectives of loss of life caused by floods". Natural Hazards, vol. 34, no. 2, pp. 151-175. Jonkman, S.N. and I. Kelman. 2005. "An Analysis of Causes and Circumstances of Flood Disaster Deaths". Disasters, vol. 29, no. 1 (March), pp. 75-97, abstract (35 kb in PDF). Jonkman, S.N., I. Kelman, and P. Waarts. 2003. 1953 Storm Surge Deaths: Netherlands. Version 2, 17 August 2009 (Version 1 was 31 March 2003), full text (218 kb in Word format). Kelman, I. 2003. 1953 Storm Surge Deaths: U.K. Version 5, 17 August 2009 (Version 1 was 30 November 2002), full text (353 kb in Word format). Kelman, I. 2003. "U.K. Drownings". CFS Press, January 2003, full text (322 kb in PDF). CFS Press provides excellent, practical articles and advice on water safety and rescue issues. Kelman, I. 2004. "Philosophy of Flood Fatalities". FloodRiskNet Newsletter, issue 1, Winter 2004, pp. 3-4, full text (27 kb in PDF). Kelman, I. 2017. Unusual Floods and Drownings. Version 8, 7 April 2017 (Version 1 was 29 December 2002), full text (179 kb in PDF). Kelman, I., R.C. Huder, S. Palmer, and S. Ray. 2003. "Hurricanes and Electrocution". -CFS Press, 19 December 2003, full text (69 kb in PDF). -Radix, full text (28 kb in Word format). -Phoenix Disaster Services, The Disaster Newsletter, April 2004, vol. 3, issue 8, pp. 1-3. As an example of what an individual can achieve on this issue in the field, not only for water-related lifesaving but also for international development, download Lisa Mitchell's report on Lifesaving in Bolivia (232 kb in Word). Despite the challenges involved in setting up a lifesaving training course, "One month after the course volunteers...rescued 4 people during a swim race". Sommer, A. and W.H. Mosley. 1971. Survey of 1970 Cyclone-Affected Region of East Pakistan, February-March 1971: Final Report, full text (2,108 kb in PDF). Parts of this report were published as A. Sommer and W.H. Mosley, 1972, "East Bengal Cyclone of November, 1970: Epidemiological Approach to Disaster Assessment", The Lancet, vol. 299, 13 May 1972, pp. 1029-1036. 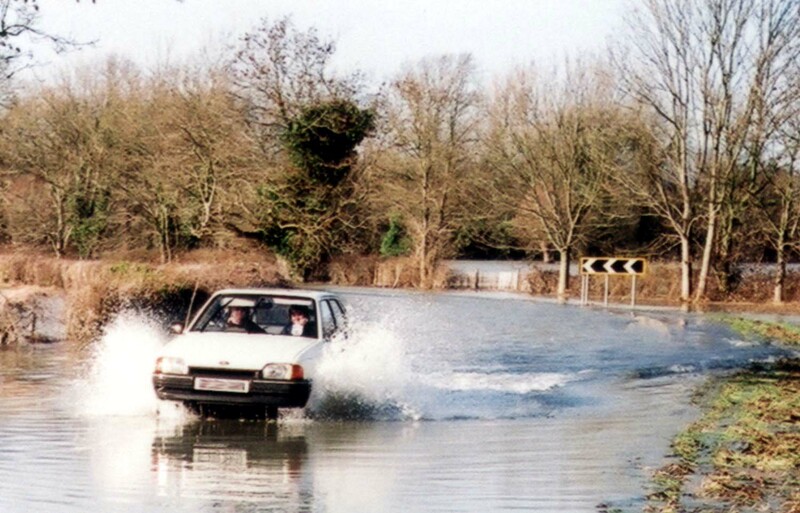 If you want to die in a flood, drive through floodwater. The car's number plate has been deliberately smudged electronically. Basu, R. and J.M. Samet, 2002. "Relation between Elevated Ambient Temperature and Mortality: A Review of the Epidemiologic Evidence". Epidemiologic Reviews, vol. 24, no. 2, pp. 190-202. Bosch, X. 2003. "France Announces Plan for Improved Emergency Services". The Lancet, vol. 362, p. 1208. Dixon, P.G., D.M. Brommer, B.C. Hedquist, A.J. Kalkstein, G.B. Goodrich, J.C. Walter, C.C. Dickerson IV, S.J. Penny, and R.S. Cerveny. 2005. "Heat Mortality Versus Cold Mortality: A Study of Conflicting Databases in the United States". Bulletin of the American Meteorological Society, vol. 86, no. 7, pp. 937-943. Grynszpan, D. 2003. "Lessons from the French heatwave". The Lancet, vol. 362, pp. 1169-1170. Keatinge, W.R., G.C. Donaldson, E. Cordioli, M. Martinelli, A.E. Kunst, J.P. Mackenbach, S. Nayha, and I. Vuori. 2000. "Heat related mortality in warm and cold regions of Europe: observational study". BMJ, vol. 321, pp. 670-673. Kovats, R.S., S. Hajat, and P. Wilkinson. 2004. "Contrasting patterns of mortality and hospital admissions during hot weather and heat waves in Greater London, UK". Occupational and Environmental Medicine, vol. 61, pp. 893â€“898. MMWR. 2005. "Heat-Related Mortality--Arizona, 1993-2002, and United States, 1979-2002". MMWR (Morbidity and Mortality Weekly Report), vol. 54, no. 25 (1 July 2005), pp. 628-630. MMWR. 2006. "Heat-Related Deaths - United States, 1999-2003". MMWR (Morbidity and Mortality Weekly Report), vol. 55, no. 29 (28 July 2006), pp. 796-798. MMWR. 2008. "Heat-Related Deaths Among Crop Workers - United States, 1992â€“2006". MMWR (Morbidity and Mortality Weekly Report), vol. 57, no. 24 (20 June 2008), pp. 649-653. Naughton, M.P., A. Henderson, M.C. Mirabelli, R. Kaiser, J.L. Wilhelm, S.M. Kieszak, C.H. Rubin, and M.A. McGeehin. 2002. "Heat-Related Mortality During a 1999 Heat Wave in Chicago". American Journal of Preventive Medicine, vol. 22, no. 4, pp. 221-227. Semenza, J.C., J.E. McCullough, W.D. Flanders, M.A. McGeehin, and J.R. Lumpkin. 1999. "Excess Hospital Admissions During the July 1995 Heat Wave in Chicago". American Journal of Preventive Medicine, vol. 16, no. 4, pp. 269-277. Semenza, J.C., C.H. Rubin, K.H. Falter, J.D. Selanikio, W.D. Flanders, H.L. Howe, and J.L. Wilhelm. 1996. "Heat-related Deaths During the July 1995 Heat Wave in Chicago". New England Journal of Medicine, vol. 35, no. 2, pp. 84-90. 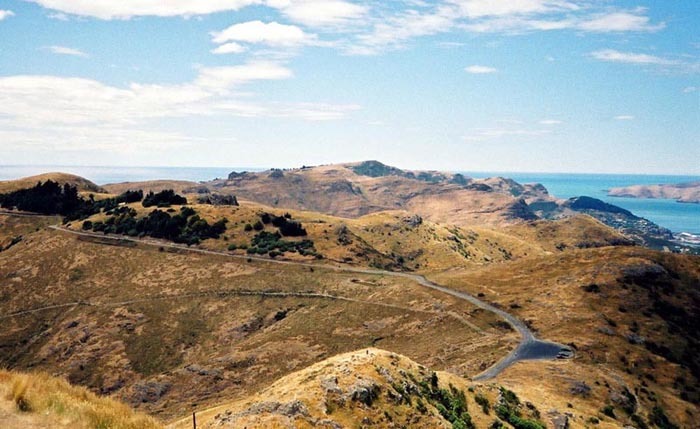 Parched hills just south of Christchurch, New Zealand, during the summer heat wave and drought of 2003-2004. Alexander, D.E. 2005. "Vulnerability to landslides". Chapter 5, pp. 175-198, in T. Glade, M. Anderson, and M. Crozier (eds. ), Landslide Hazard and Risk. Wiley, Chichester, U.K.
Evans, S.G. 2000. "The record of disastrous landslides and geotechnical failures in Canada 1840-1999: implications for risk management". Presented at the Workshop on Geotechnique and Natural Hazards, 53rd Canadian Geotechnical Conference, Hotel Delta Centre-Ville, MontrÃ©al, QuÃ©bec, 15-18 October 15-18 2000. Guzzetti, F. 2000. "Landslide fatalities and the evaluation of landslide risk in Italy". Engineering Geology, vol. 58, pp. 89â€“107. 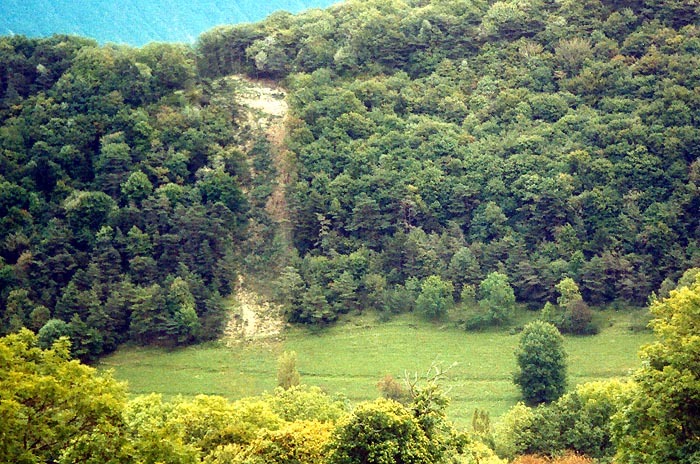 Slope failure near ChambÃ©ry, France. Baker, T. 1983. "Lightning Deaths in Great Britain and Ireland". Weather, vol. 39, pp. 232-234. Cherington, M. 2002. "Lessons from History: Two Lancet Lightning Articles: Clark and Brigham, 1872; Knaggs, 1894--A Commentary". Wilderness and Environmental Medicine, vol. 13, pp. 158-162. Coates, L., R. Blong, and F. Siciliano. 1993. "Lightning fatalities in Australia, 1824-1991". Natural Hazards, vol. 8, pp. 217-233. Curran, E.B., R.L. Holle, and R.E. LÃ³pez. 1997 (October). Lightning Fatalities, Injuries, and Damage Reports in the United States from 1959-1994. NOAA Technical Memorandum NWS SR-193, National Severe Storms Laboratory, NOAA (National Oceanic and Atmospheric Administration), Norman, Oklahoma, U.S.A.
Curran, E.B., R.L. Holle, and R.E. LÃ³pez. 2000. "Lightning Casualties and Damages in the United States from 1959 to 1994". Journal of Climate, vol. 13, pp. 3448-3464. Elsom, D.M. 1993. "Deaths caused by lightning in England and Wales, 1852-1990". Weather, vol. 48, pp. 83-90. Holle, R.L., R.E. LÃ³pez, and B.C. Navarro. 2001 (April). U.S. Lightning Deaths, Injuries, and Damages in the 1890s Compared to 1990s. NOAA Technical Memorandum OAR NSSL-106, National Severe Storms Laboratory, NOAA (National Oceanic and Atmospheric Administration), Norman, Oklahoma, U.S.A.
Kithill, R. 1997. "A Letter to the Editor". Natural Hazards Observer, vol. XXI, no. 3, p. 11. Nizamuddin, S. 1992. "Deaths caused by lightning in India". Weather, vol. 47, pp. 366-367. 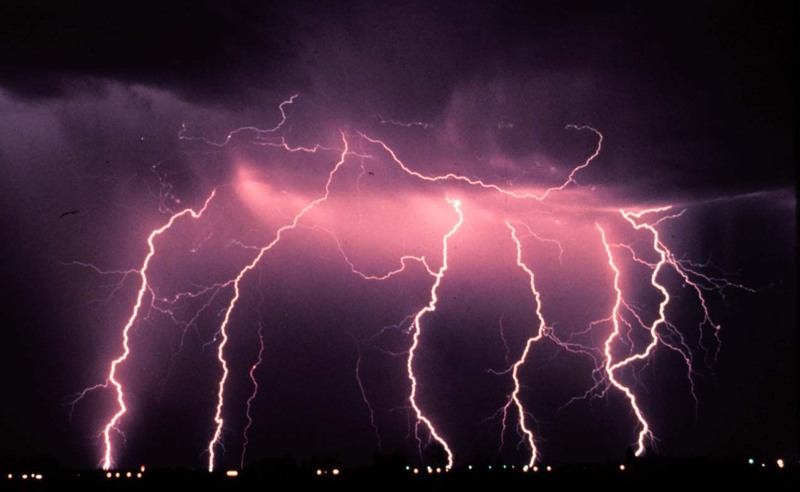 Several lightning strokes over the course of a thunderstorm near Norman, Oklahoma in 1978. Photo by C. Clark used with kind permission from the NOAA Photo Library, NOAA Central Library, OAR/ERL/National Severe Storms Laboratory. Bohonos, J.J. and D.E. Hogan. 1999. "The Medical Impact of Tornadoes In North America". The Journal of Emergency Medicine, vol. 17, no. 1, pp. 67â€“73, 1999. Brooks, H.E. and C.A. Doswell III. 2002. "Deaths in the 3 May 1999 Oklahoma City Tornado from a Historical Perspective". Weather and Forecasting, vol. 17, issue 3, pp. 354-361. Brown, S., P. Archer, E. Kruger, and S. Mallonee. 2002. "Tornado-Related Deaths and Injuries in Oklahoma due to the 3 May 1999 Tornadoes". Weather and Forecasting, vol. 17, issue 3, pp. 343-353. Carter, A.O., M.E. Millson, and D.E. Allen. 1989. "Epidemiologic study of deaths and injuries due to tornadoes". American Journal of Epidemiology, vol. 130, issue 6, pp. 1209-1218. Daley, W.R., S. Brown, P. Archer, E. Kruger, F. Jordan, D. Batts, and S. Mallonee. 2005. "Risk of Tornado-related Death and Injury in Oklahoma, May 3, 1999". American Journal of Epidemiology, vol. 161, pp. 1144-1150. Donner, W.R. 2003. The Human Ecological Model and Its Application to Severe Weather Phenomena: Predicting Tornado Morbidity. Masters dissertation at the University of Delaware, Delaware, USA. Donner, W.R. 2007. "The Political Ecology of Disaster: An Analysis of Factors Influencing U.S. Tornado Fatalities and Injuries, 1998-2000". Demography, vol. 44, no. 3, pp. 669-685. Duclos, P.J. and R.T. Ing. 1989. "Injuries and risk factors for injuries from the 29 May 1982 tornado, Marion, Illinois". International Journal of Epidemiology, vol. 18, 213-219. Hammer B., and T. Schmidlin. 2000. "Use of vehicles to flee the 3 May 1999 Oklahoma City tornado: Reasons and relative injury rates". Preprints from the American Meteorological Society's 20th Conference on Severe Local Storms, Orlando, Florida, USA, pp. 64-65. Hammer, B.O and T.W. Schmidlin. 2001. "Vehicle-occupant deaths caused by tornadoes in the United States, 1900â€“1998". Environmental Hazards, vol. 2, issue 3, pp. 105-118. Hammer, B.O. and T.W. Schmidlin. 2002. "Response to Warnings during the 3 May 1999 Oklahoma City Tornado: Reasons and Relative Injury Rates". Weather and Forecasting, vol. 17, issue 3, pp. 577-581. Merrell, D., K.M. Simmons, and D. Sutter. 2002. 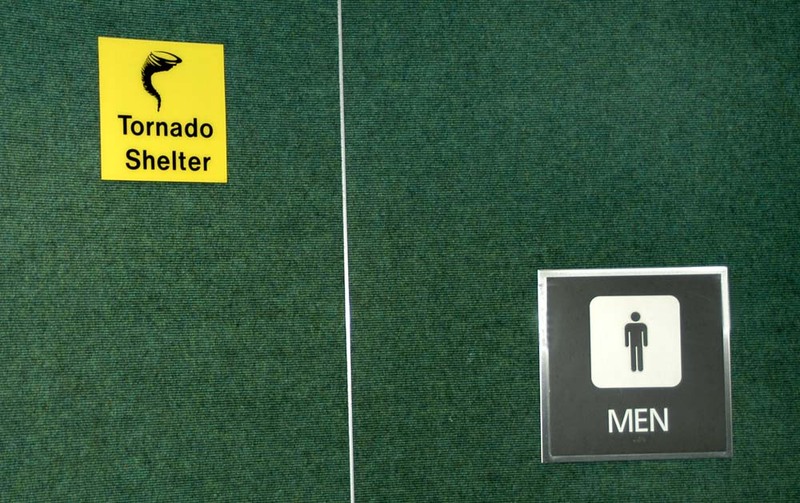 "Taking Shelter: Estimating the Safety Benefits of Tornado Safe Rooms". Weather and Forecasting, vol. 17, pp. 619-625. Schmidlin, T.W. 1997. "Closet, Car, or Ditch? The Mobile Home Dilemma During a Tornado". Natural Hazards Observer, vol. XXII, no. 2, pp. 1-3. Schmidlin, T.W., B.O. Hammer, P.S. King, Y. Ono, L.S. Miller, and G. Thumann. 2002. "Unsafe at Any (Wind) Speed? Testing the Stability of Motor Vehicles in Severe Winds". Bulletin of the American Meteorological Society, vol. 83, no. 12 (December), pp. 1821-1830. Golden, J. 2002. "Comments on 'Unsafe at Any (Wind) Speed? Testing the Stability of Motor Vehicles in Severe Winds'". Bulletin of the American Meteorological Society, vol. 83, no. 12 (December), pp. 1831â€“1833. Goldhammer, R.G. 2002. "Comments on 'Unsafe at Any (Wind Speed)? Testing the Stability of Motor Vehicles in Severe Winds'". Bulletin of the American Meteorological Society, vol. 83, no. 12 (December), pp. 1835â€“1837. McCarthy, D. 2002. "Comments on 'Unsafe at Any (Wind) Speed? Testing the Stability of Motor Vehicles in Severe Winds'". Bulletin of the American Meteorological Society, vol. 83, no. 12 (December), pp. 1833â€“1834. Schmidlin, T.W., B. Hammer, Y. Ono, P.S. King, L.S. Miller, and G. Thumann. 2002. "Reply". Bulletin of the American Meteorological Society, vol. 83, no. 12 (December), pp. 1837â€“1839. Schmidlin, T.W. and P.S. King. 1996. "Cars and Tornadoes: Where is the Research". Bulletin of the American Meteorological Society, vol. 77, no. 5 (May), pp. 963-964. Schmidlin, T.W. and P.S. King. 1997. Risk Factors for Death in the 1 March 1997 Arkansas Tornadoes, Quick Response Report #98 from the Natural Hazards Research and Applications Information Center, University of Colorado, U.S.A.
Schmidlin, T.W., P.S. King, B.O. Hammer, and Y. Ono. 1998. "Behavior of Vehicles During Tornado Winds". Journal of Safety Research, vol. 29, no. 3, pp. 181-186. Schmidlin, T.W. and Y. Ono. 1996. Tornadoes in the Districts of Jamalpur and Tangail in Bangladesh, Quick Response Report #90 from the Natural Hazards Research and Applications Information Center, University of Colorado, U.S.A.
Simmons, K.M. and D. Sutter. 2005. "Protection from Natureâ€™s Fury: Analysis of Fatalities and Injuries from F5 Tornadoes". Natural Hazards Review, vol. 6, no. 2, pp. 82-87. Simmons, K.M. and D. Sutter. 2005. "WSR-88D Radar, Tornado Warnings, and Tornado Casualties". Weather and Forecasting, vol. 20, pp. 301-310. Simmons, K.M. and D. Sutter. 2006. "Improvements in Tornado Warnings and Tornado Casualties". International Journal of Mass Emergencies and Disasters, vol. 24, no. 3, pp. 351-369. Andresen, D., A. Donaldson, L. Choo, A. Knox, M. Klaassen, C. Ursic, L. Vonthethoff, S. Krilis, and P. Konecny. 2005. "Multifocal cutaneous mucormycosis complicating polymicrobial wound infections in a tsunami survivor from Sri Lanka". The Lancet, vol. 365, pp. 876â€“878. Asari, Y., Y. Koido, K. Nakamura, Y. Yamamoto, and M. Ohta. 2000. 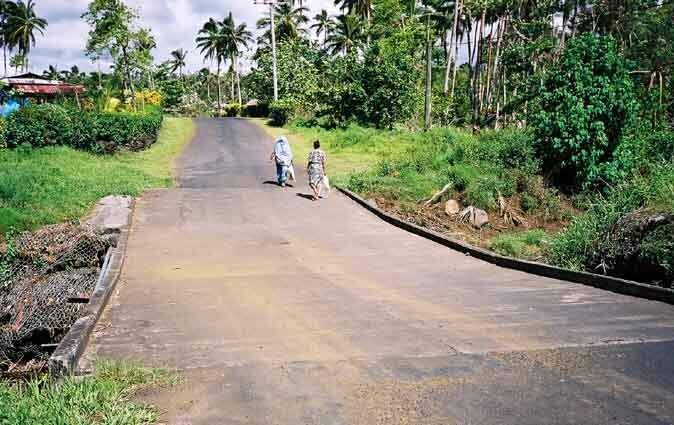 "Analysis of Medical Needs on Day 7 After the Tsunami Disaster in Papua New Guinea". Prehospital and Disaster Medicine, vol. 15, no. 2, pp. 81-85. Doocy, S., Y. Gorokhovich, G. Burnham, D. Balk, and C. Robinson. 2007. "Tsunami Mortality Estimates and Vulnerability Mapping in Aceh, Indonesia". American Journal of Public Health, vol 97, No. S1(Supplement 1), pp. S146-S151. Doocy, S., A. Rofi, C. Moodie, E. Spring, c. Scott Bradley, G. Burnham, and C. Robinson. 2007. "Tsunami mortality in Aceh Province, Indonesia". Bulletin of the World Health Organization, vol. 85, no. 2, pp. 273-278. Garzoni, C., S. Emonet, L. Legout, R. Benedict, P. Hoffmeyer, L. Bernard, and J. Garbino. 2005. "Atypical Infections in Tsunami Survivors". Emerging Infectious Diseases, vol. 11, no. 10, pp. 1591-1593. Hay, R.J. 2005. "Mucormycosis: an infectious complication of traumatic injury". The Lancet, vol. 365, pp. 830-831. Holian, A.C. and P.P. Keith. 1998. "Orthopaedic surgery after the Aitape tsunami". Medical Journal of Australia, vol. 169, pp. 606-609. Lander, J.F., L.S. Whiteside, and P.A. Lockridge. 2003. "Two Decades of Global Tsunamis 1982-2002". 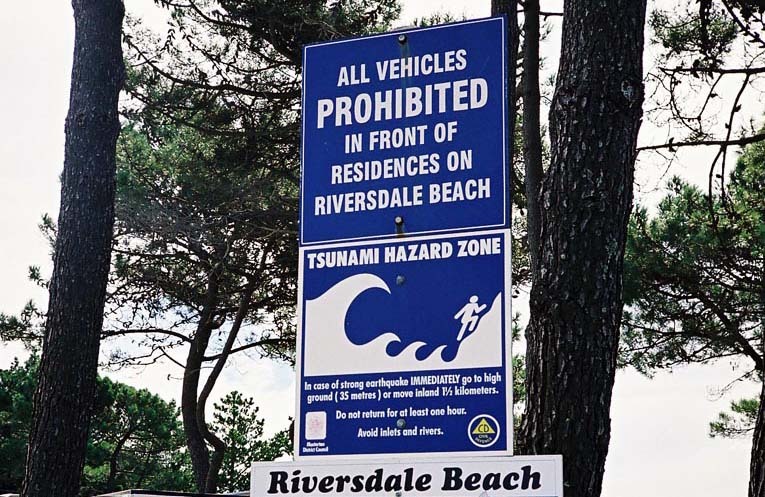 Science of Tsunami Hazards, vol. 21, no. 1, pp. 3-88. Nishikiori, N., T. Abe, D.G.M. Costa, S.D. Dharmaratne, O. Kunii, and K. Moji. 2006. "Who died as a result of the tsunami? Risk factors of mortality among internally displaced persons in Sri Lanka: a retrospective cohort analysis". BMC Public Health, vol. 6, no. 73, online. Oxfam. 2005. Oxfam Briefing Note: The Tsunami's Impact on Women. Oxfam International, Oxford, U.K.
Rofi, A., S. Doocy, and C. Robinson. 2006. "Tsunami Mortality and Displacement in Aceh Province, Indonesia". Disasters, vol. 20, no. 3, pp. 340-350. Sokolowski, T.J. No date. The Great Alaskan Earthquake & Tsunamis Of 1964. Downloaded from http://www.wcatwc.gov/64quake.htm on 11 December 2004. Taylor, P.R.P., D.L. Emonson, and J.E. Schlimmer. 1998. "Operation Shaddock -- the Australian Defence Force response to the tsunami disaster in Papua New Guinea". Medical Journal of Australia, vol. 169, pp. 602-606. Watoh, Y., T. Kai, E. Pretto, J. Abrams, R. Saenz, H. Hirotsune, and M. Matsuzaka. 1997. "Life-Saving Potential in Tsunami Victims". Abstract at Prehospital and Disaster Medicine, 10th World Congress on Disaster and Emergency Medicine, 26-27 September 1997, Mainz, Germany. Baxter, P.J. 1990. "Medical Effects of Volcanic Eruptions". Bulletin of Volcanology, vol. 52, pp. 532-544. Baxter, P.J. and A. Gresham. 1997. "Deaths and injuries in the eruption of Galeras Volcano, Colombia, 14 January 1993". Journal of Volcanology and Geothermal Research, vol. 77, Issues 1-4, pp. 325-338. Bernstein, R.S. and A.S. Bulst. 1984. "Public Health Aspects of Volcanic Hazards: Evaluation and Prevention of Excessive Morbidity and Mortality due to Natural Disasters.". Disasters, vol. 8, no. 1, pp. 6-8. Blong, R.J. 1984. Volcanic Hazards: A Sourcebook on the Effects of Eruptions. Academic Press, London, U.K. Especially Chapter 3. Glaser, A.N. 1996. "The Global Effects of Volcanic Eruptions on Human Health and Agriculture: A Review". Journal of Agromedicine, vol. 3. Gueri, M. and L.J. Perez. 1986. "Medical Aspects of the 'El Ruiz' Avalanche Disaster, Colombia". Disasters, vol. 10, no. 2, pp. 150-157. "IVHHN currently involves 31 expert members from 25 international institutions and over 120 corresponding members. Members of IVHHN work in diverse scientific disciplines such as volcanology, epidemiology, toxicology, public health and physical chemistry with a common aim of trying to determine the health effects of volcanic emissions." Loughlin, S.C., P.J. Baxter, W.P. Aspinall, B. Darroux, C.L. Harford, and A.D. Miller. 2002. "Eyewitness accounts of the 25th June 1997 pyroclastic flows at SoufriÃ¨re Hills Volcano, Montserrat, and implications for disaster mitigation", pp. 211â€“230 in T.H. Druitt and B.P. Kokelaar (eds. ), The Eruption of SoufriÃ¨re Hills Volcano, Montserrat, from 1995 to 1999. Geological Society of London, London, UK. Luongo, G., A. Perrotta, C. Scarpati, E. De Carolis, G. Patricelli, and A. Ciarallo. 2003. "Impact of the AD 79 explosive eruption on Pompeii, II. Causes of death of the inhabitants inferred by stratigraphic analysis and areal distribution of the human casualties". Journal of Volcanology and Geothermal Research, vol. 126, pp. 169-200. Ng'walali, P.M., A. Koreeda, K. Kibayashi, and S. Tsunenari. 1999. "Fatalities by inhalation of volcanic gas at Mt. Aso crater in Kumamoto, Japan". Legal Medicine, vol. 1, pp. 180-184. Simkin, T., L. Siebert, and R. Blong. 2001. "Volcano Fatalities--Lessons from the Historical Record". Science, vol. 291, no. 5502 (12 January 2001), p. 255. Tanguy, J.-C., Ch. RibiÃ¨re, A. Scarth, and W.S. Tjetjep. 1998. "Victims from volcanic eruptions: a revised database". Bulletin of Volcanology, vol. 60, no. 2, pp. 137-144. Tilling, R.I. 1991. "Reducing Volcanic Risk--Are We Winning Some Battles but Losing the War?". Earthquakes and Volcanoes, vol. 22, no. 3, pp. 133-137. Witham, C.S. and C. Oppenheimer. 2004. "Mortality in England during the 1783â€“4 Laki Craters eruption". Bulletin of Volcanology, vol. 67, no. 1, pp. 15-26.